Every year Black Friday sales get more hyped and involve more ridiculous deals. In some cases that’s a bad thing, especially when it involves camping outside stores for silly amounts of time to get a chance at one of the only two units available in a particular sale. In many others it’s just a great time to save some money. Since we know that a sale is on the way let’s take a look at what to expect as far as discounts this week. We do have every reason to believe that Amazon will use this opportunity to further promote the Kindle line directly through their own storefront as well, though. Sadly, we’re not going to be seeing a sale on the Kindle Paperwhite. The eReader side of things has proven so popular since the Paperwhite was released that an order today will take over a month to get to its destination, just barely making it in time for Christmas if you spring for 2-day shipping. 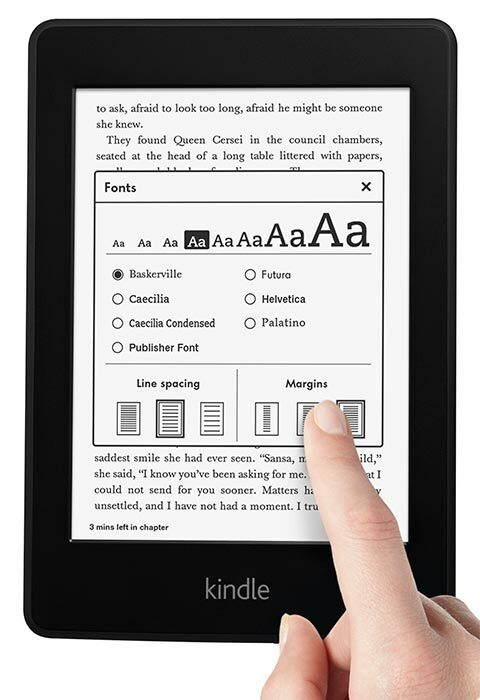 In a matter of days it will likely be impossible to order a Kindle Paperwhite and have it before 2013. We will certainly be seeing this sale day used as an opportunity to promote the Kindle Fire and Kindle Fire HD, however. An effort was clearly made to get the Kindle Fire HD 8.9” out before Black Friday, which indicates that the larger tablet will be a part of the promotion as well. Looking at the store offers above, nobody is actually discounting the Kindle Fires themselves. All that is being added is a promo gift card. Given all the blowback Amazon has been getting from these same retailers about showrooming, I expect that the online deal will go a bit further. How much further is difficult to predict, but 10-20% off the price would create a huge surge of interest. Remember that Amazon is using the Kindle Fire as a cheap option for content sales. They’re not making much on the devices themselves. As such I don’t think we can expect to see a $99 Kindle Fire, even using refurbished 1st Gen models. Since recent teardowns point to there being a bit more profit than the earlier generation allowed for in a single unit, however, they have some leeway. I know that I’ll be watching for a $160 Kindle Fire HD and I would be surprised if I don’t see one by the end of the week. It looks like Amazon Black Friday Deal for Kindle devices is going to be Kindle DX 3G for $259 ($120 or 32% off). Hurry while it lasts! 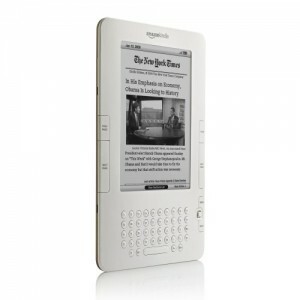 It is a great price for e-reader with 9.7 inch screen. It’s that time again and Black Friday Deals are just around the corner. As always we can expect a slew of promos, door buster deals, extremely long lines, amazing if short lived price cuts, and loads of fun for all ages. Well, maybe not that last part entirely, but you get the picture. Fortunately, Amazon provides a good way to get some of these great details without lining up outside a store hours before the sun comes up. I’m even fairly certain that there will be some great deals available for the Kindle lovers among us. “But how? !” one might ask, given that the new line of Kindles will just finish being released on the 15th and the associated price drops will still be settling in. The answer is clear. Expect, for one, at least one great offer on the Kindle Keyboard. Amazon, prior to the release of the Kindle 4 and announcement of the new Kindle Touch and Fire, had been selling the refurbished Keyboard model at a fairly large discount. This is a move we’d seen before during the transition from the second to third generation of eReader. We still have them up for sale though, so why bother? Personally I have a feeling that they just didn’t sell as well as was hoped now that customers knew what to expect. Look for some great deals on this product with the Black Friday promotions, as this should be a wonderful time for Amazon to sell off large quantities of a product that many believe is being phased out. Also, watch for accessories! 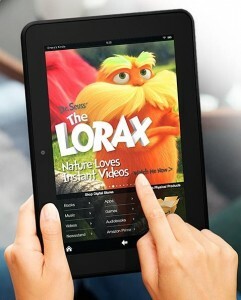 The Kindle Fire will still be fresh in peoples’ hands after pre-orders ship, as will the Kindle Touch. As with any piece of portable electronics, there are going to be things needed both for personalization and proper utilization. Not much fits the bill better than Kindle cases, styluses (you never know what it might be handy), skins, etc. Given how hard Amazon has been pushing their new hardware, even taking a loss on much of it if external analysis is to be believed, it’s unlikely that a chance to further promote the line will be passed by. The other thing that Amazon has been pushing, though, is their digital media distribution. Given that potentially millions of customers will be pulling out their new media tablets in the same week as Black Friday, it makes sense to expect associated digital content sales. This has the advantage of instant gratification for customers even as it increases awareness of the potential for Amazon’s services. Look out for Kindle Fire apps, Instant Video downloads, and Kindle Edition eBook deals sporadically throughout the sale period. 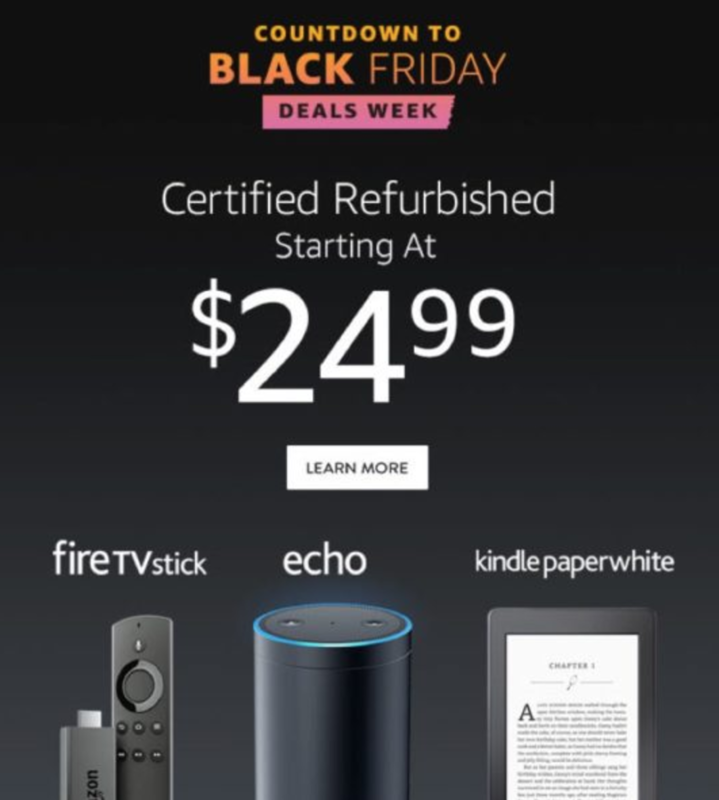 Amazon’s Black Friday Deals Week will be kicking off on Monday, November 21 and going through the 27th which is itself perhaps better known now as “Cyber Monday”. Deals will be posted in a staggered fashion throughout each day in pretty much every category of goods that Amazon sells. There are even some early deals posted already to set the mood for potential customers. The Kindle will not be taking center stage in all this, unless i miss my guess. There won’t be some sort of major promo rush. This is the perfect time for the retailer to be presenting good deals on things with significantly higher profit margins during a sales period high on one-off purchasing. It would be silly to have this much traffic built up without any effort to cater to what has to be considered a major source of recurring customers, though, so Kindle Owners (especially Kindle Fire Owners) won’t be left out of the fun. No Kindle Deal from Amazon on Cyber Monday? Now all excitement grows again with the arrival of Cyber Monday. I don’t expect to see mile long traffic jams and crowds rushing to the shopping malls but I can foresee internet routers getting overloaded with shoppers and e-commerce sites getting slow due to inflow of cyber shoppers. On Black Friday around 9am when $89 Kindle deal was in progress Amazon Lightning Deals page was loading very slow. I guess load time of this page could be a good measure to see how many customers are trying to see if there are any exciting deals there. This page is loading quite fast now as I’m writing this post but it is 2am Cyber Monday night time and most of Cyber Monday shoppers are still watching dreams about their tomorrow’s purchases. Amazon has already changed their Facebook page to “Amazon Cyber Monday Deals” logo and published multiple deals there. You can see all of these deals at Amazon Cyber Monday Deals page. I checked both Kindle WiFi and Kindle 3G pages on Amazon and they are still selling for $139 and $189 respectively. As of writing this post (Cyber Monday night 2am) I don’t see any Kindle related deals yet but they may show up later during the Cyber Monday day. But besides Kindle related deals I see lots of other Cyber Monday deals in other categories, like Electronics, Video Games, Sports, Health, Beauty and more. So it may be worthwhile to check Cyber Monday Deals and see if you can find something good there. Since I’m a sports fan I also recommend you to check out bowlex sport equipment page on Amazon – they have quite nice discounts on some cool training equipment there. Also I see lots of folks lining up to dance in front of the Microsoft Kinect demo booths at my local shopping mall which I guess means that Microsoft Kinect is one of the hits on both Black Friday and Cyber Monday. Well, the $89 Kindle Lightning Deal has come and gone, unsurprisingly leaving behind it a cloud of shocked customers, angry shoppers, and confusion as to what exactly was going on in the first place. Some people are happy, having gotten themselves a new and extremely giftable Kindle for a great price, while most of us who showed up at 9am were at least mildly disappointed. As always on days like this, there is some inclination to cry “Scam!” and express our displeasure in other equally vocal ways. Let’s take a moment first to look at the larger scheme of things and see if we can get a clear picture. To begin with, it is useful to note that this was perhaps the most highly publicized Amazon sale of the year. Not only was it clearly noted on the site itself, but they spread word via both Facebook and Twitter. That means that the(as of writing this) 123,292 people following Amazon’s sale page on twitter and 373,006 people who have hit the “Like” button on their Facebook page were all notified in advance. Even setting aside the blogging community’s spreading of this information(and there was certainly plenty of that), there’s the potential right there for just under half a million people to know about this deal over a day before it happened. The numbers should help put things into perspective a bit. I’m not saying everybody who heard about the cheap Kindle through these sources was getting in line to try for one, but word of mouth and information spread further down the news chain almost certainly shored up the numbers significantly too. There are a lot of people talking now about the Kindle vs Nook comparison(refurbished Nooks were on sale for $99 and didn’t sell out nearly as fast), but let’s face it, there wasn’t nearly as much of an advertising push behind anything B&N was doing. From the information I can dig up, Amazon is the worlds largest online retailer in the world. I know many people in England, Ireland, Brazil and Iceland shop on this site. Two that I know of that live in England got the Kindles yesterday. If Amazon had 2000 units for sale, it is a no brainer to figure out how fast they would sell out….about 2 seconds. People are being totally unrealistic. On the other hand, the odds truly were astonishing for some. Think of it as purchasing a lottery ticket…….the odds of winning are slim to none, but there are winners. While it is completely understandable for some people to be annoyed, these sales are intended to be analogous to the standard Black Friday Doorbusters sales that you might expect to see at any physical outlet. The Black Friday FAQ in the upper-left corner of the deals page indicates for people that, as with your average retail outlet, quantities are limited and deals are short-lived. Everything is first-come, first-served. Even more limited are the Lightning Deals, such as the one the Kindle was involved in, where things are expected to sell out so quickly that they actually instituted a short-term wait list that lasts until every one of the product being sold has made it through checkout. What it comes down to is that we can’t claim the information wasn’t out there. It was clear from the start that this was meant to be a moment when demand would overwhelm supply by a fair amount. I do believe that many, perhaps even Amazon themselves, were shocked by exactly how great the discrepancy between the number of Kindles and the number of Kindle buyers was, but that’s often the case at sales like these. The local Best Buy might have twenty of the amazingly priced computers they advertise, but you know there are going to be a couple hundred people lined up in the morning hoping to get those wristbands that will guarantee them a slot. It’s all about the luck of the draw. In the meantime, you can still get the newest Kindle for only $50 more than the sale. 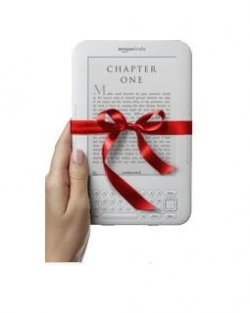 If you were in it for yourself, or even if you really like the person you were planning on giving the gift to, the Kindle 3 is a step up anyway. Although the dust after Black Friday has settled and it is already Saturday, Amazon continues to roll out new lightning deals. And you can conveniently track them on this page. All deal stats are also stored in the database so that when it is over I can publish some interesting statistics about how much time it took for each deal to run out etc. … Enjoy! You can also track deals at Offical Amazon Deals page. Scroll down to see all currently active deals. 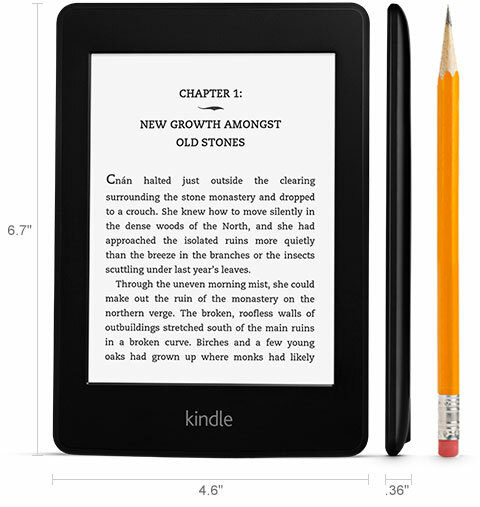 Kindle Black Friday Deal: Best Day for Amazon Kindle Sales in History? This Tuesday (November 23rd) Amazon reported on their Facebook wall: “We had our biggest sales day ever for Kindle devices yesterday. Thank you, customers!”. And it was just Tuesday of Thanksgiving Week. Since then Amazon made couple more posts on their wall announcing more Black Friday Deals products but didn’t leave any notes about Kindle Sales on Friday. My expectation is that Wednesday would be as strong as Tuesday and Thursday or Black Friday Kindle Sales will beat the record. Also I have great expectation for Cyber Monday which in recent years grew to be as significant as Black Friday. It would be very interesting to find out how many people will go with Kindle 2 Black Friday Deal for $89 and how many will get Kindle 3G+WiFi or Kindle 3 WiFi version instead. It won’t be a simple choice since Kindle 2 is closer in features to $189 Kindle 3G (both of them have 3G connection which is a very useful feature) for just half the price at $89. I’ll keep track of Amazon Facebook page and Amazon Black Friday Lightning Deals page deals both manually and with use of my Amazon Deals tracker which I announced in previous post an will keep you updated on all changes and announcements there.